Double Fine Productions and iam8bit are teaming up for the fourth annual Day of the Devs, a festival that brings together the gaming community to celebrate the indie games that inspire and delight fans of all ages. This year the free festival features several games that will be playable for the first time, including Knights and Bikes, Moblets, and Yooka Laylee, among other new and unreleased indie titles, as well as food trucks, art exhibits and live music sets by SCNTFC, Darren Korb, Jim Guthrie and Baiyon. 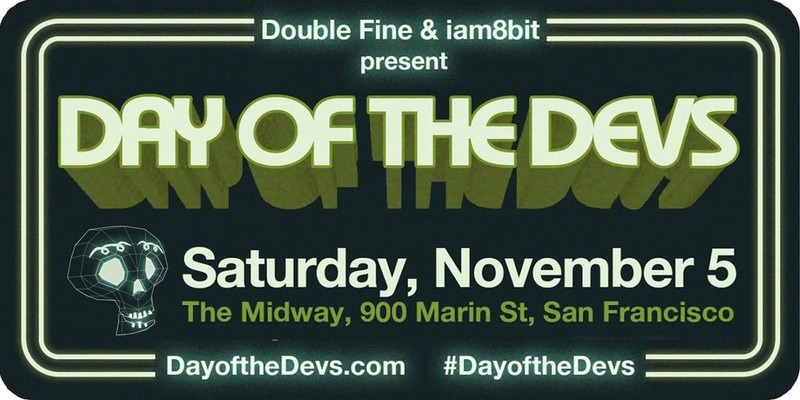 Day of the Devs will take place on Saturday, November 5 from 3 p.m. to 10 p.m. at The Midway (900 Marin Street) in San Francisco’s Dogpatch District. Day of the Devs is a free festival, open to all ages. For more information, updates on line-up and sponsor information, please visit www.dayofthedevs.com. RSVP on EventBrite.